With your help, we can deliver our 100 millionth rescued meal to hungry Aussies before Christmas! Help us fund more meals and let’s make history together in Australia’s fight against food waste and food insecurity. 2,197,648 meals funded so far! Every dollar you donate to OzHarvest is so meaningful. 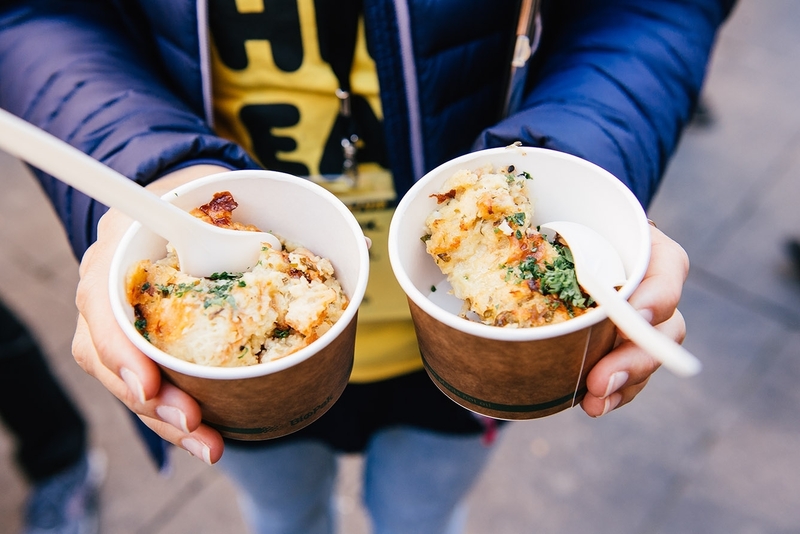 It allows us to save good food from going to landfill and deliver two meals to Aussies who are doing it tough. Providing a meal for someone going hungry is much more than filling an empty belly. It provides dignity, nourishment, care, connection and love when most needed. Thanks to the generosity of people like you, OzHarvest has been able to deliver nutritious meals to millions of Aussies in need and has saved over 32,000 tonnes of food from going to landfill. Food insecurity in Australia is on the rise, and over 250 charities helping to feed thousands of Aussies who are hungry every day are still on the waiting list to receive food from OzHarvest. Please help us feed them. Every dollar you donate provides two nourishing meals to people in need and saves good food from going to landfill. Join us in the fight against hunger and food waste - make a donation today. “Getting food from OzHarvest is a life-saver. It means I can buy what else we need with the little money we have left after paying bills." 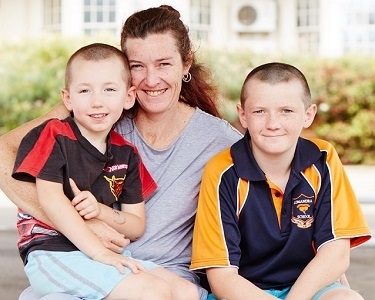 Jenny, Parent at Lomandra School. “If it wasn’t for OzHarvest food, a lot of people would be going hungry." OzHarvest is an Australian registered charity founded by Ronni Kahn in 2004. We rescue edible food from going to landfill and redistribute it to those in need. We also educate the next generation of Australians about food and sustainability and help vulnerable young people find employment in the hospitality sector. Food Rescue returns $6.75 as charity agencies can redirect valuable funds from buying fresh, nutritious food to other essential services. NEST (Eduate) returns $9.73 by increasing living skills and health/nutrition education and increasing community connectedness. Nourish (Educate) returns $4.75 by enhancing life skills of vulnerable young people and providing pathways to employment. Are donations to OzHarvest tax deductible? Yes, OZ HARVEST LIMITED is endorsed as a Deductible Gift Recipient (DGR). How else can I help with this appeal? You can also support us by buying donation tokens next time you shop at Woolworths. The 50 cent tokens are available in stores across the country until 24 December. Each token purchased allows us to deliver a meal to someone in need. Thank you for doing such an important job in an amazing way! Our children under 12 years would like to help behind the scenes to pack items or clean up or serve neals or help the helpers with a tea or coffee break and some cake with parental.supervision to those at Ozharvest who help those.that are currently homeless. Keep up the great work! It's nice to see all foods don't go to waste and helping the community but also the environment. To Jai and Lucas, You have fed 40 underprivileged people this Christmas. Love from Great Grandpa John. I heard Ronni speak @ the Women in Payment Symposium. The work you do as organisation, is amazing! As a country we can be grateful and so proud to have people with your empathy and heart. Love your work! Wish you could allow more volunteers to joim you with your operations. I hope this small contribution will help those at Christmas get a much needed lunch or dinner. Waste no more food ! Merry Xmas to all hope this helps your great cause. You are a wonderful organisation one that I am confident in donating to. With love and best wishes on the occasion of the 70th birthday of our treasured friend, Phil. Many thanks and many happy returns for the OzHarvest team and supporters. I have never experienced real hunger but I imagine not knowing where your next meal is coming from is terrifying. I hope this helps. Hello Ronni & The Amazing Crew of Oz Harvest! Thank you for All that you do every single day, especially this time of year. I hope that this helps to feed those who are in need. You are All such a blessing. Thank you! You are a wonderful Organisation. Thank you. I saw the article on the orange juice machines this morning on the Today Show, Channel 9. I'll support you on this. May all your wonderful work go exactly where it is needed so that all those who need to can partake and enjoy the spirit of Christmas . . . . .
Our homeschool group had a Christmas Charity Bake-Off and raised $55 for OzHarvest Christmas Appeal. We feel happy to contribute in feeding families this Christmas. You do such important work, Oz Harvest. Hope this helps for Xmas or wherever you need it. Thank you so much for creating this amazing organisation. I hope you and you families have a wonderful Christmas. 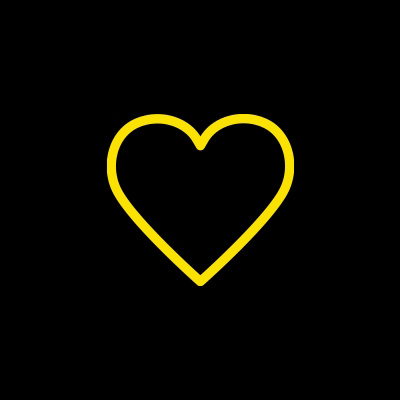 Thanks for everything you do OzHarvest! Merry Christmas from those who have enough to those who need a hand up. I want to give more to people that are less fortunate then me. On behalf of Grade 4B at Wales Street Primary School in 2018, we are making this donation to help support those less fortunate than ourselves this Christmas. My best wishes to OZharvest team and all those who in need! Have a wonderful Christmas! Thank you for helping to feed those Aussies in need. We donate to a different charity every year and sit around on Christmas day with our family and talk about who we donate to and what that do. Happy Christmas to those who need a little love and nourishment from their community! My Mum and Dad asked for their present to be donated to a charity. Wishing you a Merry Christmas. Thanks for being the kind, caring and wonderful people you are! Christmas in our household we don't do presents but as we all like to indulge with food we always spend money on food rather than presents so that we can all sit together & enjoy. I wanted to make sure that someone else out there could enjoy the same over their christmas time. Keep up the good work, and have a happy holidays and a safe and happy New Year. Donation on behalf of Andrew. Who requested a donation to OzHarvest for his Christmas gift. If we all gave a little, life would be easier for those in need. Love the work OzHarvest do and happy to help in some small way. SOYEE would like to do our bits in giving back to Society!!! Happy Christmas from the team at Telaria! Thank you for all you do to ensure those in need don’t go hungry and that we don’t waste precious food! Thank you Ozharvest for supporting people with respect. Thanks for offering dignity and comfort. Blessings. Each year, in lieu of Christmas cards, we donate to Australian charities. This year we elected to support your great organisation. Best wishes to all for a safe festive season. I hope you guys have a Merry Christmas, love your work. On behalf of us and our son Tom . Thank you for everything you do to help those in need! Warmest wishes to everyone at Ozharvest!! Merry Christmas to those in need. if possible id like to donate this towards the running costs of your vans. This is from my 3 sons Angus ,Nick, Sam and my wife Liz. Instead of a present each they are happier knowing it is going to your vans. Merry Christmas!!! May 2019 bring you hope and love. Merry Christmas from Lily, Tiara and Ella. We are aged 11, 9 and 13 years. We gave up some of our Christmas presents to help feed the needy. Thank you for helping feed humanity. Love peace and joy to all. Thank you all at OzHarvest for all the work that you do, and the hope that you bring to those in need. It is much appreciated. After a good year, we've had a lovely, if simple, meal, and I hope that everyone gets the same. From our family to yours. May your Xmas be a brighter one because of what OzHarvest is doing. Helping each other is the start of living a peaceful, happy life. A Christmas Donation from the whole Hodges clan. We're so pleased our snacking could benefit others in need!